There is often functionality that you wish to add to your Squarespace site. Functionality may include email marketing, social media integration, embedded video to something more complex like payment solutions. Finding any solution, yet alone the right solution can be a timely and costly exercise. By using 3rd party Squarespace integrations, you’re able to solve such problems. This also improves the functionality of your site end enhances the user experience. Here are 15 of the best Squarespace integrations that will enhance the power of your site. 53% of people abandon their mobile visit if a page takes longer than three seconds to load. Research has also found that Mobile sites that load in 5s or less get 2x more mobile revenue. This is where AMP enters the picture. It is an open source project with a focus on optimizing mobile content for reduced load times. This not only enhances the user experience but drives revenue. It’s currently only available for your blog posts. Use Disqus for a more advanced commenting system on your blog compared to that of Squarespace. Disqus supports conversation threads, image comments and other functionality that Squarespace doesn’t currently offer. Apply Pay ensures fast and easy checkouts for your customers. Your customers don’t have to manually enter their shipping and billing information. Currently, Apple Pay is only visible to customers who visit your site using Safari on a Mac and iPhone or iPad running the latest IOS. For customers accepting payments via Stripe, it is available via default. 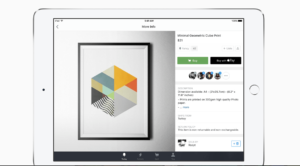 Stripe is Squarespace’s official and only merchant processing partner. 13 Currencies are currently supported (including US dollar, Euro, and Pound) on the platform. A host of customizable forms is available. This gives you the ability to handle any kind of payment and create some truly elegant designs. For full details on how to setup, your stripe account clicks here. To simplify your shipping cost calculations and shipping procedures, consider using the FedEx integration. This integration automatically calculates shipping rates based on FedEx rates by package weight, dimensions and shipping address. Make sure the weight and dimensions of all products are accurately labeled. Xero is online account software for small businesses. With Xero, you’re able to track your daily sales, run your business on the go and manage your cash flow (amongst other things). It will deliver a summary of the previous day’s transactions directly to your Xero account. This is a paid service, only available with the commerce product and within the United States. You have access to Google Fonts within your Squarespace editor. There is a choice of over 600 fonts to customize your site. You are also provided with a popular font selection to save you time. Typekit is a service offered by Adobe. Consider using Typekit if you want no limitations when it comes to your typography. Typekit gives you access to over 1000 high-quality fonts, “anywhere, anytime.” The Squarespace integration also allows you to add your own custom fonts for unique designs. Aside from being a powerful tool to store files, documents, and images in the cloud, DropBox allows you to publish images to your gallery pages on your site. Have a knack for image enhancing and editing? Why not consider using the Adobe Creative Cloud Image Editor. With this Squarespace integration, you have a built-in feature on your site which allows you to adjust the orientation, crop images, add a color filter, change brightness, add text and much, much more. For E-mail marketing use the power of MailChimp. Design and send campaigns and e-mail newsletters. Mailchimp is available through your form block, newsletter block (subscribe option) and checkout page. Setup your Mailchimp account first, then connect Squarespace to Mailchimp. It’s free for the first 2000 subscribers and you even get A/B testing on the free option after you’ve sent a certain amount of e-mails. This is a great way to track visitors on your website. View the source of traffic -according to a country, social media and device -, the bounce rate, demographics, and several other metrics. You can do all the above by adding a tracking code to the header of your site. 73% of internet users aren’t browsing in English. 72.1% of users spend the majority of their time on sites in their own language. 56.2% value browsing in their own language over price. 46% say they won’t buy products if they’re not in their local. No doubt many people have stumbled upon your website, only to leave because they don’t understand the language. 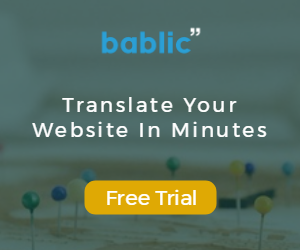 Enter Bablic, a cost effective human translation tool that will reduce bounce rate and improve engagement. Translation can be manual or automatic. All you need to do is paste a line of code into your site header. With Bablic you can publish or unpublish as many languages as you like. Muut is the “complete discussion system for your website”. By powering live discussions, you create a sense of community on your website. This increases engagement and improves the likelihood of visitors returning to your website. Create forums, a blog commenting section and even have a private discussion with Muut. The above Squarespace integrations provide added functionality and power to your Squarespace site. For these and other Squarespace integrations be sure to visit the Squarespace Integrations page. What integrations do you currently use?